Picture provided by Bob DeGraw. 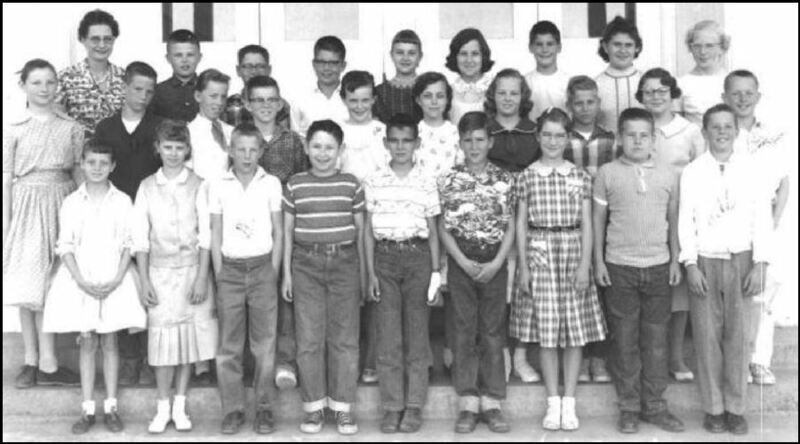 BACK ROW: 1.Mrs.Fisher, 2.ClarenMcBain, 3.LarryChristensen, 4.BobbyThompson(? ), 5.GailDawson, 6.CandyDavis, 7.WaltSommers, 8.DianeIsakson, 9.JudyGustafson. MIDDLE ROW: 1.MarianRussell, 2.JohnStandley, 3.CherylPollard, 4.MikeJackson, 5.BettinaShellman, 6.LindaForsythe, 7.SusanLederer, 8.MikeBrightman, 9.SusanGulley, 10.BobDeGraw. FRONT ROW: 1.PennyZbyszewski, 2.DorisBates, 3.DanGregory, 4.WayneVanHamme, 5.EricGerber, 6.BruceMcMann, 7.CherylSchmidt, 8.BillFleming, 9.JohnCole. E-mail the webmaster with row and # if you can help with the question mark.